Randy Gardner submitted this photo. I took this photo from the press box at Stanford Stadium on Saturday, June 27, 2009. 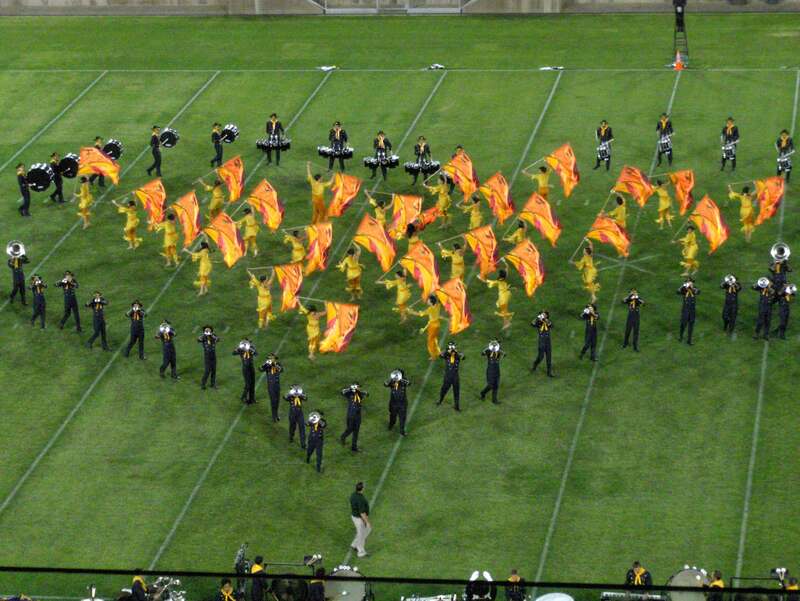 This is the "heart" of the Troopers from their West Side Story-themed 2009 production. (The song here is "One Hand, One Heart.") It is always fantastic to see the Troopers, and they are looking great this year!